One shoulder long dress that slides following the silhouette. 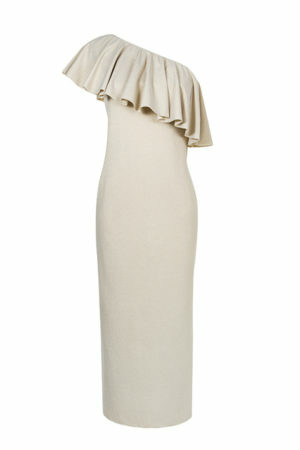 Enriched by a wide ruffle on the one-shoulder neckline. Made of a golden lycra, for a super glamorous evening look, wear it with a pair of sandals and a pair of maxi earrings.